Lethbridge, Alberta – Lethbridge Police have charged two men in connection with the theft of a vehicle after an officer located a stolen truck with the pair inside. On Feb. 6, 2019 an officer was patrolling on the northside when he observed a Ford F150 with two occupants that was illegally parked on 21 Street North. The rear console window had been smashed and a piece of cardboard was in its place. Upon querying the license plate, it was determined the vehicle had been reported stolen on Jan. 26. The male occupants exited the vehicle and were subsequently arrested without incident. Rodney Kesley Bottle, 36, of Cardston and Renee Star Oka, 24, of Lethbridge, are both charged with possession of stolen property over $5,000. Both were scheduled to appear in court today. Over the past 24 hours police also recovered two other stolen vehicles. In one case the vehicle was stolen when it was left unattended while it was running to warm up and in the other the thief used a spare key that had been stored in the centre console. In both instances the vehicles were left unlocked. Police are once again reminding all motorists – particularly during the current cold snap – to never leave a running vehicle unlocked or unattended for any amount of time. Further, never store spare keys inside. 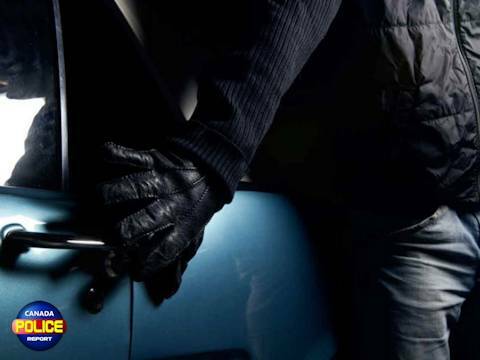 Vehicle thefts, as well as car prowling incidents where property is stolen from inside a vehicle, are opportunistic crimes and owners can reduce their likelihood of being victimized by taking preventative measures to reduce the opportunity.